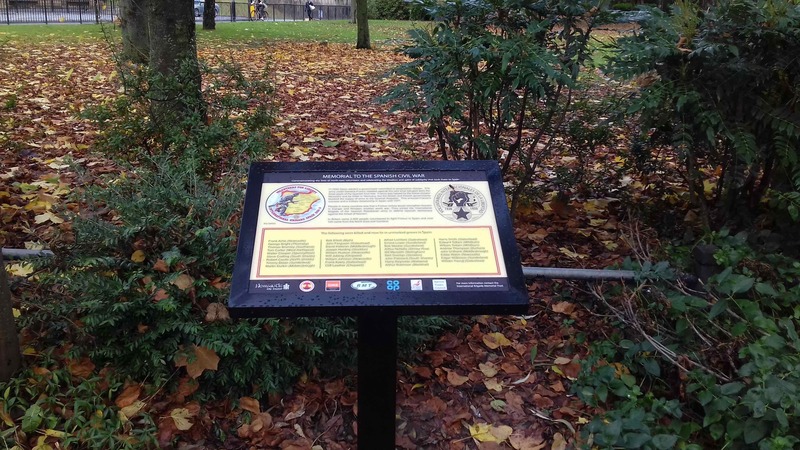 The Spanish Civil War Memorial Board stands in the grounds of Newcastle Civic Centre. It was unveiled by the Lord Mayor of Newcastle in November 2016. It provides some information about this struggle against fascism and lists the names and birthplaces of the 35 men from the region who were killed serving with the International Brigade in Spain. The board was sponsored by the International Brigade Memorial Trust, the GMB, RMT, Unite, Barrow Trades Council and the Co-op. 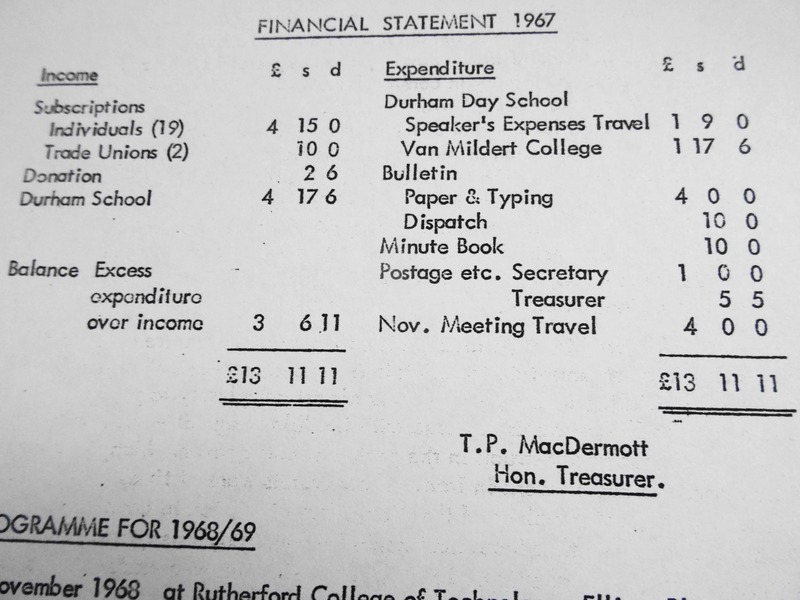 What must have been the Society’s first financial statement from 1967. Our total income and expenditure being £13.11.11 (that’s about £13.59 for the benefit of you youngsters!). Our Journal (Bulletin) cost all of £4.10.0 (£4.50). Today the Journal costs more like £2,000 to produce. The statement is signed by Terry MacDermott who is still a member of the Society. A blue plaque for Thomas Wilson has been placed on the Reading Rooms that he bequeathed to Low Fell in the 1841. Unveiled by the Mayor of Gateshead, Alison Ilderton-Thompson, it is a fitting tribute to a fine son of Low Fell, benefactor and Radical Whig. He was a member of Gateshead’s first council from 1835. The building is currently The Bank and it is at 516 Durham Road, Low Fell NE9 6HU. The NELH Popular Politics Project collected a lot of information about Thomas Wilson, his activities and extracts from his private journals. These can be found at http://ppp.nelh.net/. 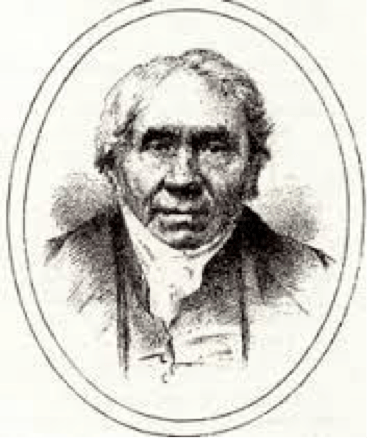 Considered one of the North East’s greatest dialect poets, Wilson was born in the mining village of Low Fell on 14 December1773.Born into a mining family he began working down the local pit at the tender age of 8 years. He worked his way from trapper boy up to hewer at the age of 19.In the few hours he was not at work or asleep he managed to get a rudimentary education at a school run by Samuel Barrass near Carter’s Well. At the age of 19 became a school teacher at Galloping Green Wrekenton. Trying his hand at commerce he began to work for Losh, Lubbren and Co, in their counting office in 1803.Only two years later he entered in partnership with William Losh who in turn were joined by Thomas Bell which became the industrial giant of its day the Losh, Wilson and Bell Ironworks in Walker. His fortune was made. Thomas Wilson was now in a position to demolish his parent’s humble old cottage and build Fell House near Lowery’s Lane Low Fell for his family and where he lived and died in 1858. He is buried in St John’s church Sherriff Hill. He is described as being extremely generous donating to any good work irrespective of church, school or chapel, sect or party. He began to write dialect poems in the 1820’s which were published in local magazines of the day and the respected Gateshead Observer newspaper. His most famous poem was Pitman’s Pay and it was published along with his other poems in book form as the “The Pitman’s Pay and other Poems”. It was widely read and translated into a play by the Dodds sisters (The Little Theatre’s founders) and the Progressive Players toured the Northern region with the play. Several of his poems have been adapted with music and are still sung today especially “The Washing Day “.His poetry is virtually all in dialect and has been a rich source for the study of the early 19th Century Tyneside dialect . Thomas Wilson also took his civic duty very seriously and became one of Gateshead’s first Councillors and later as an Alderman until 1853. He never became Mayor even though asked to carry out this honour on countless occasions as he did not relish public appearances. His most tangible legacy left in Low Fell is the building now known as The Bank Bistro Low Fell (Fell House was demolished in the 1960’s) . The Bank building was originally erected for the benefit of residents of Low Fell by Thomas Wilson and fellow benefactors as a local school and reading rooms. Thomas Wilson appreciated the education he had received and wanted his fellow citizens to enjoy the enormous benefits that education can achieve. The building was used for various purposes including use as a social club established there for soldiers at the end of the 1st World War. The club eventually moved out and founded the Thomas Wilson Working Men’s Club which remains at the southern end of Low Fell in purpose built accommodation to this day. The building was then used as a bank and has now been converted to a Bar Bistro and adopted the name of its last use as The Bank Bar Bistro. 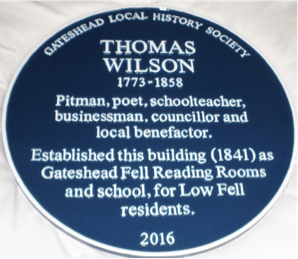 It is very fitting that the plaque to Thomas Wilson should be placed upon the building that he helped into being for the benefit he gave to his fellow man. A local man who did not forget his roots and recognised the importance of Education for all is a person who we believe should be recognised himself in a very fitting way. The Thomas Spence Birthday Event was held at the Newcastle Quayside on 21st June 2016. Poems and Songs from are now available from the Northern Voices website. Sunniside History Society will shortly publish a pamphlet about the research they have done into Fugar House in Sunniside and the area surrounding it. The project has sought to uncover the rich hidden heritage within an area of about ¾ mile radius of the site of Fugar House and share it with those who may only know the area as an attractive rural landscape. Key participants in the project have been children at nearby Washingwell Community Primary School. Consultation meetings with the general public have been held together with guided walks of the area at which emerging information has been shared. This has led to much discussion of things that lie hidden beneath the ground, either just below or many feet below such as layers of coal seams worked over a period of seven centuries but for which there is scant evidence above ground, and making sense of what can be seen but for which there is currently no explanation. In this way adults and children alike have learned to understand the remnants of history covering many centuries that lie on their doorstep and to appreciate the impact of historical events on the local topography. They have also come to know some of the main characters associated with Fugar House and the part that they played in history, both within the area and, in the case of Ralph Swinburn, more widely across the world. One thing that emerged was just how much the area was at the forefront of industrialisation. The late Tom Marshall was the local studies librarian at Gateshead whose enthusiasm for labour history ensured that the Library there has some important resources. These include microfilms of the early Communist, Suffrage, and local ILP papers; also local labour movement material such as the Gateshead Labour Herald for the 1930s and the Gateshead Trades Council and Labour Party Monthly Circular for the 1920s. Included too are several volumes of interviews with people who went through the miners’ lockout of that year. Another interesting item is the photo album of Jim Ancrum, the Communist councillor in Felling during the 1930s who was a leading figure in the National Unemployed Workers’ Movement. The collection covers women at work during the First World War, particularly in munitions, shipbuilding and engineering; also how those large workplaces produced women’s football leagues in the North East. Women’s football emerged again in the region as a means of raising funds for the soup kitchens during the miners’ lockouts of 1921 and 1926. The efforts by colliery communities to sustain themselves during the industrial disputes of the 1920s form a common theme. There is a comprehensive amount of material on the Chester le Street Board of Guardians and their dispute with the government in 1926. Volunteers from the Popular Politics Project sorted a great deal of this material into broad overlapping categories and entered the items into the Library’s online catalogue. Information about the material can be found via www.gatesheadlocalstudies.com – follow the link to the local studies catalogue and then the link to the collection. If you are intending to visit the Library to consult the material please contact them beforehand. The Newcastle Daily Chronicle is now available digitally on the British Newspaper Archive. This is very good news for local history researchers. In the second half of the 19th Century the paper was owned by Joseph Cowen whose editors gave extensive coverage to political and trade union issues. BNA is a subscription site but is available free at Newcastle Central Library (British 19th Century Newspapers). We have been privileged to sort and file the papers of recently deceased labour movement activists Len Edmondson and Eric Walker. Their material is now available for researchers at the Tyne and Wear Archives, Blandford Street, Newcastle. We would be happy to discuss with anyone the destination of any such material.